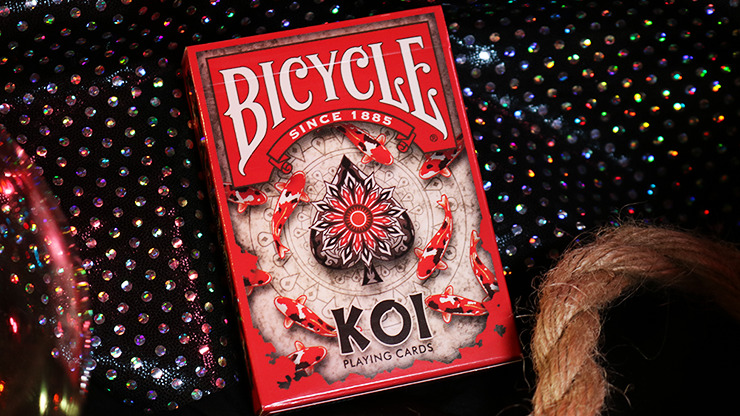 Indulge in a little peace and serenity with the new Bicycle Koi Playing Cards! 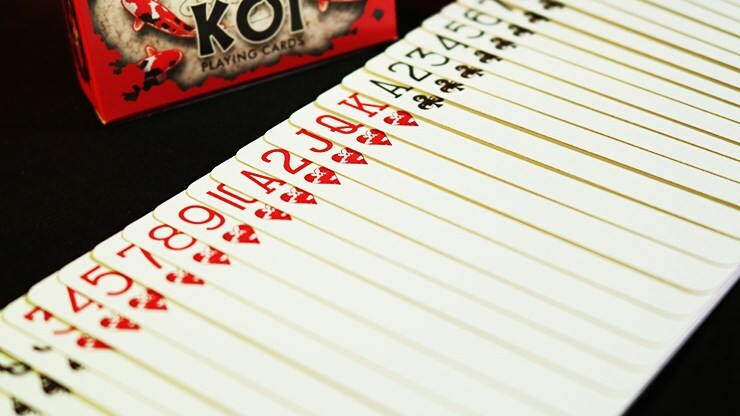 Inspired by the koi fish, these cards feature backs with a school of koi fish, ready to be fed. 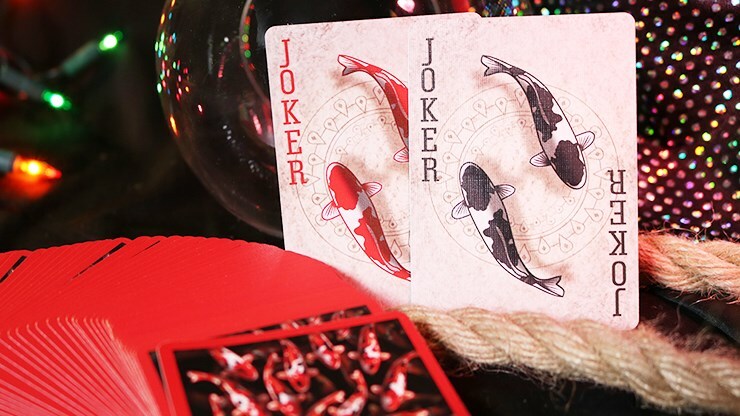 The cards come with custom Ace of Spades and Jokers and washed out court cards with koi-patterned pips. As we stare directly down onto the tuck case, we spot the stunning koi surrounding a large spade sculpture. 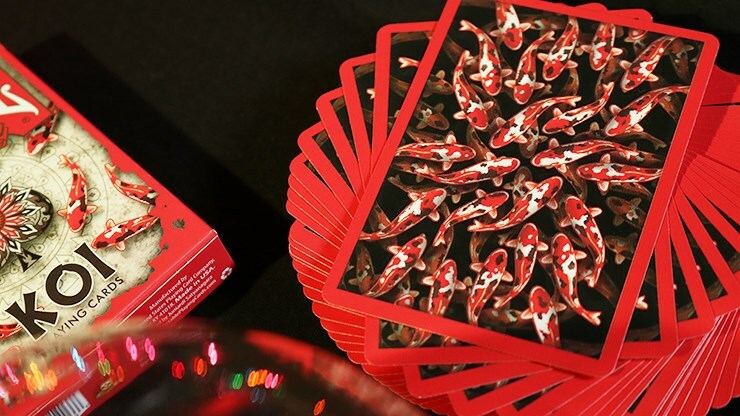 Asian themed patterns and artwork accompany the koi in their natural habitat. 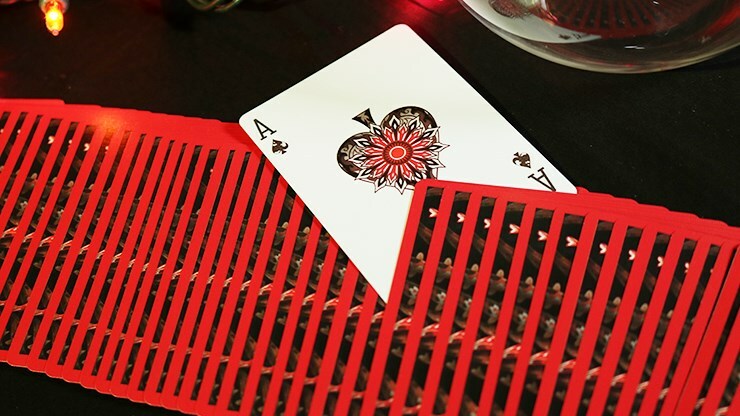 Time to take your spectators to "school" with beautiful deck. 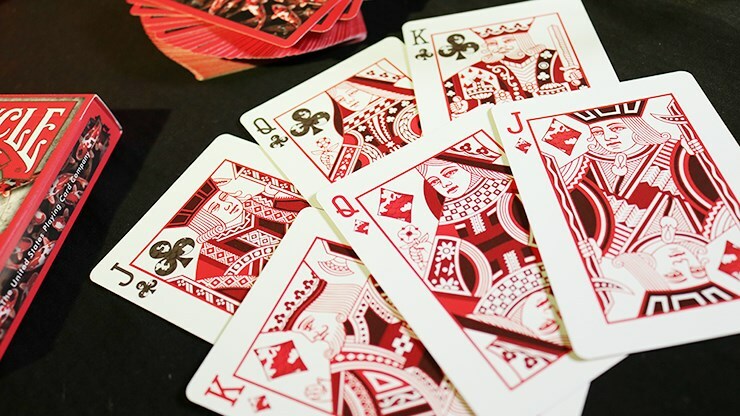 Get yours decks today!